Published Bestsellers: Local author's book signing at Sherborne St John Village Hall. Local author's book signing at Sherborne St John Village Hall. Peter Good will be signing copies of his novel, Ndlovu - The White Elephant, a pacy story set in Zimbabwe. Peter hopes that many of the Sherborne St. John residents and visitors, will come out to support their 'local author', and of course obtain a book. 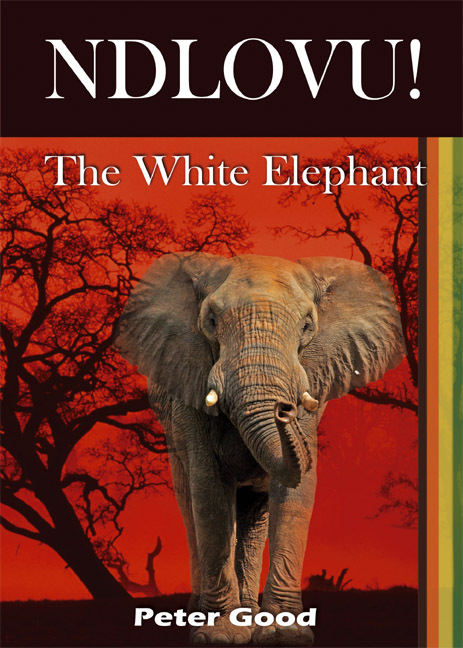 Ndlovu – The White Elephant is a pacy story set in Zimbabwe during the turbulent years that followed Rhodesia's Unilateral Declaration of Independence. The story highlights the dangers of police work in the explosive climate of a troubled country during years of the terror war and is woven around human suffering, painful endurance, and horrors that confronted the peoples both black and white. The narrative is loosely based upon the author’s own experiences in the police force of what was then Rhodesia. Thus the action of his story is set against an authentic background which the author experienced and the impeccable writing style gives a palpable vividness to the events. Peter Good is the author of Ndlovu - The White Elephant! We wish Peter the very best with this event.